Have you ever craved for something you don´t know yet? Something sweet, cold and fluffy that you can feel inside your mouth? You don´t know what it is, but it´s what you would like to have at the moment. It was a very hot sunny afternoon with a temperature of 31° C when I was in my home country. I was tired and exhausted after writing some articles for hubpages which I was planning to publish after editing them. I got up from my chair and looked inside the kitchen cupboard for something edible to eat. 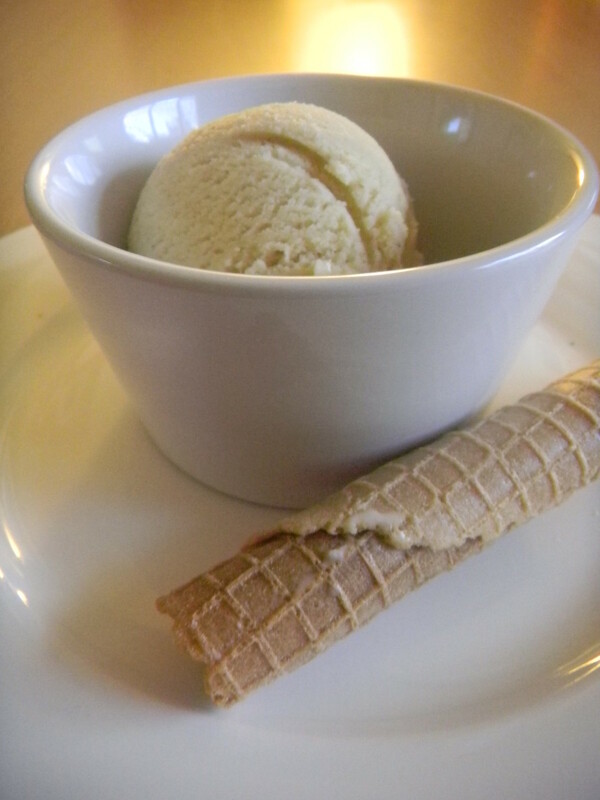 I´m not fond of having a snack, but at that time I craved for something to ease myself from the hotness of the weather. Something cold and delicious and I did not know what it was, yet. 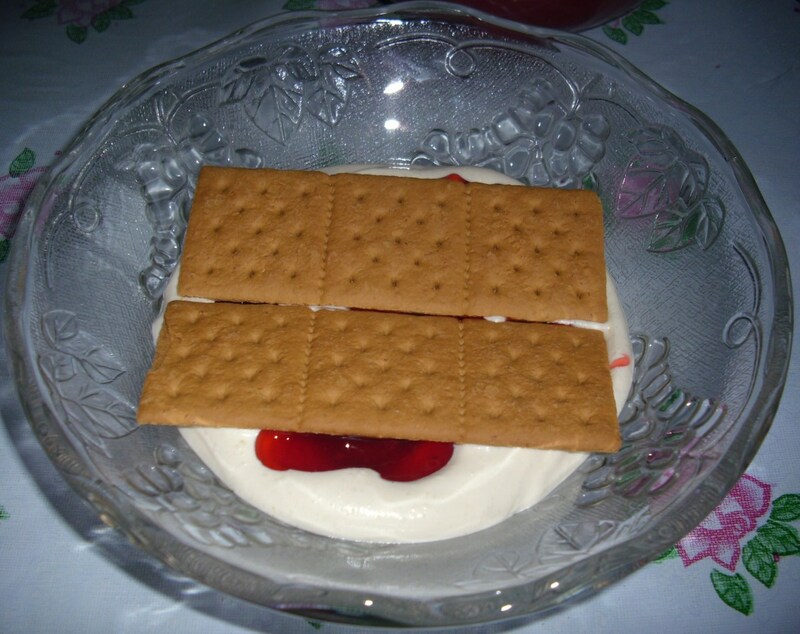 There were not much something to eat for a snack inside the kitchen cupboard besides a pack of Graham crackers, a can of strawberry pie filling and a can of condensed milk. It´s not common to store a lot of food at home in the Philippines like we do in Germany as we buy food fresh from the market. There´s always somebody who go to the market for me when I don´t like to do it myself. The 3 items from the kitchen cupboard was not enough to make anything I have done before, so I inspected the refrigerator. 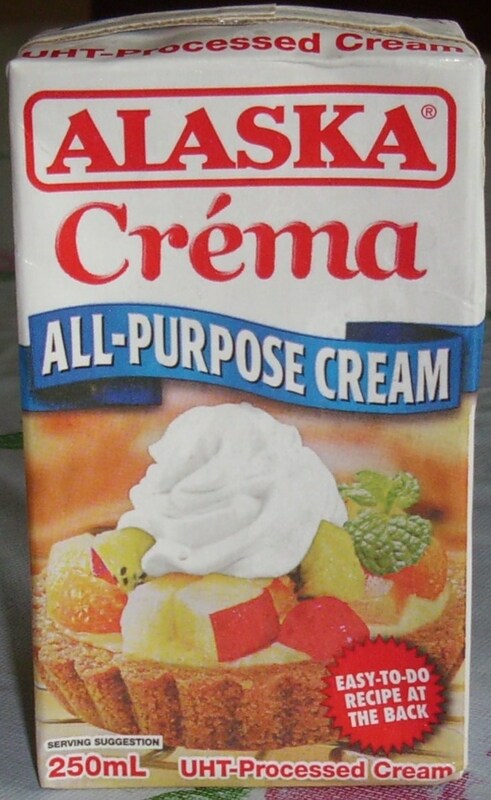 Luckily, I found ripe mangoes and a box of all purpose cream. Being hungry made my brain cells working too much to find something yummy. 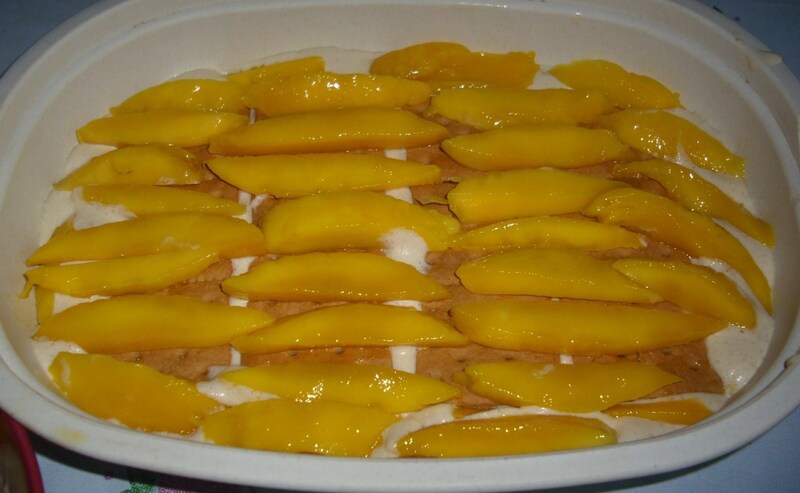 I was thinking about making Tiramisu but with mangoes and strawberry pie filling? No way! Here´s the outcome of my craving. Mango Strawberry Cream Dessert. I hope you will like it. Wash and peel the mangoes. Cut in both sides. Set the seeds aside as you might want to eat the fruit meat out of the seeds. Slice the mangoes into length sizes. 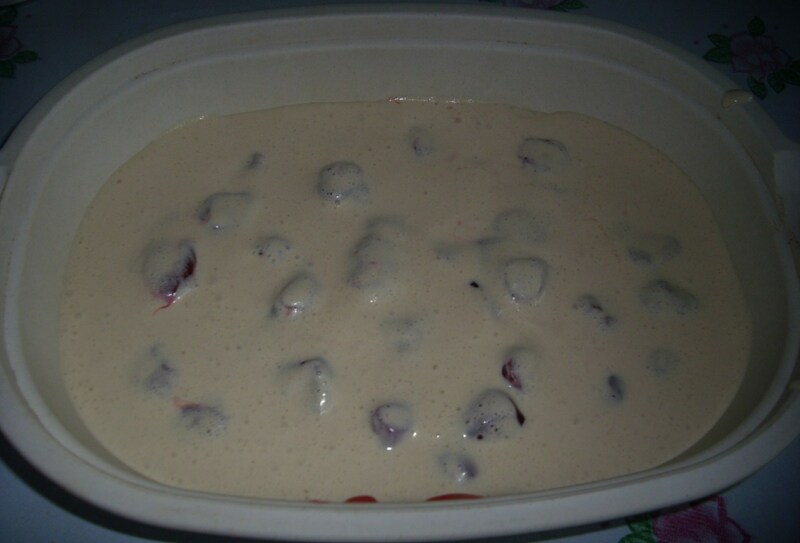 Open the can of strawberry pie fillings or use washed fresh strawberries when they are in season. 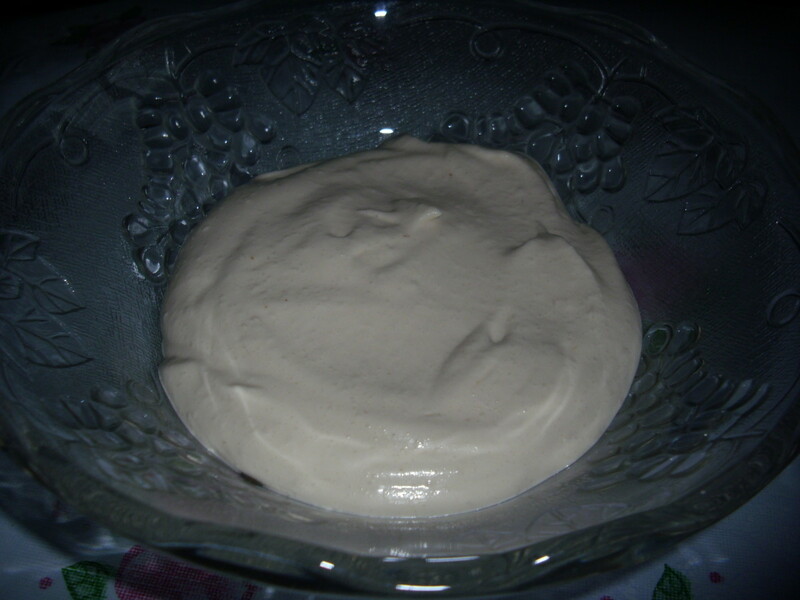 Put together the chilled all purpose cream and the chilled condenced milk in a bowl and mix well. 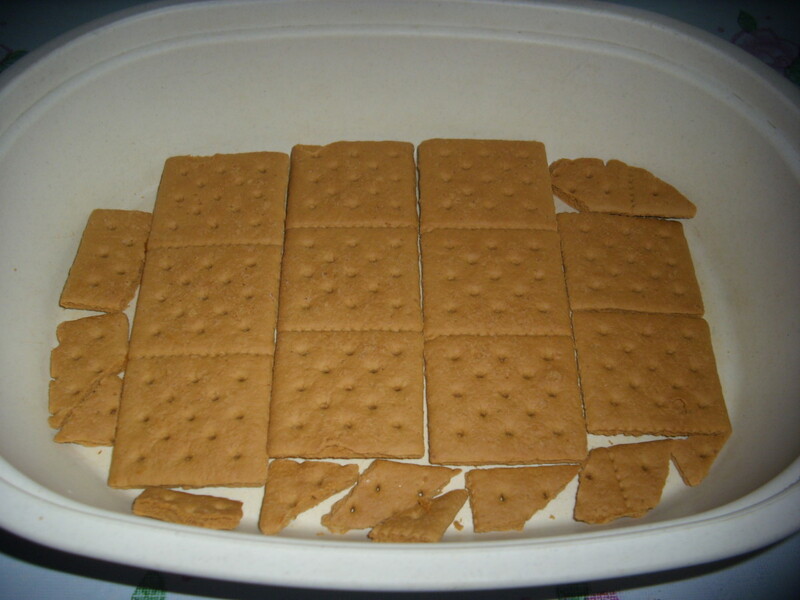 Make the first layer by lining the Graham Crackers at the bottom of a big flat baking form, a pyrex bowl or a tupperware. 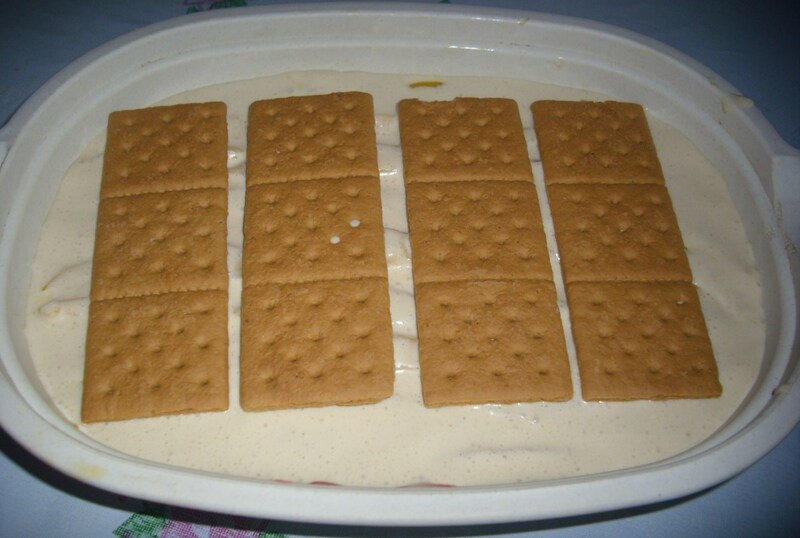 Fill in the cream and condensed milk mixture on top just to cover the crackers. Add the strawberry pie fillings. 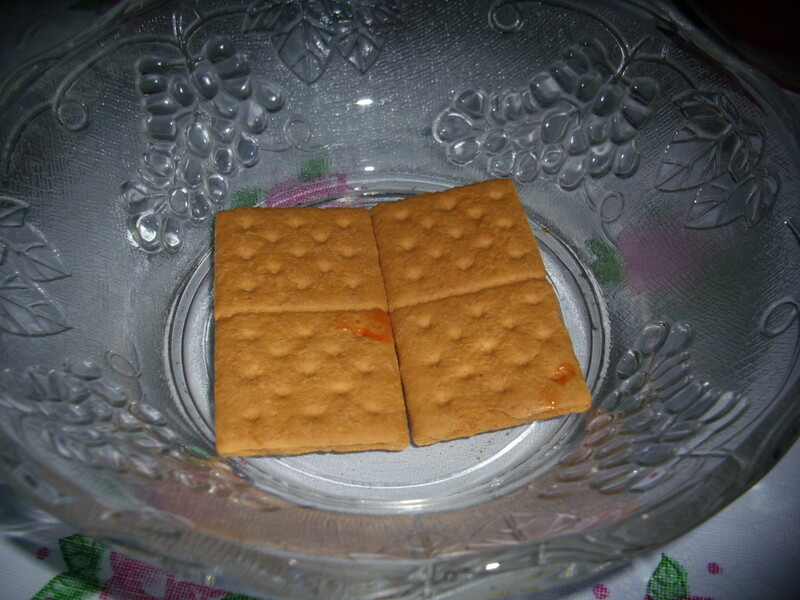 Then cover them with the Graham Crackers. 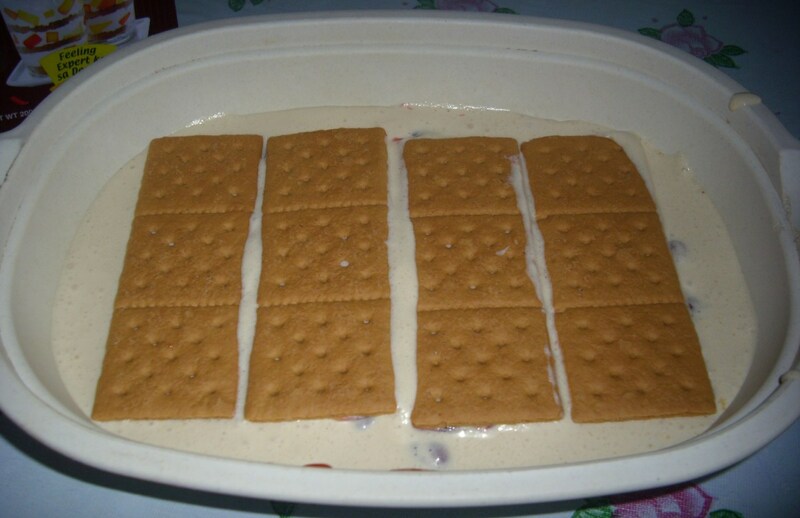 For the second layer, add the cream mixture just to cover the strawberry pie fillings and the crackers. Add the mango slices. Then cover them with the crackers. Add the cream mixture. 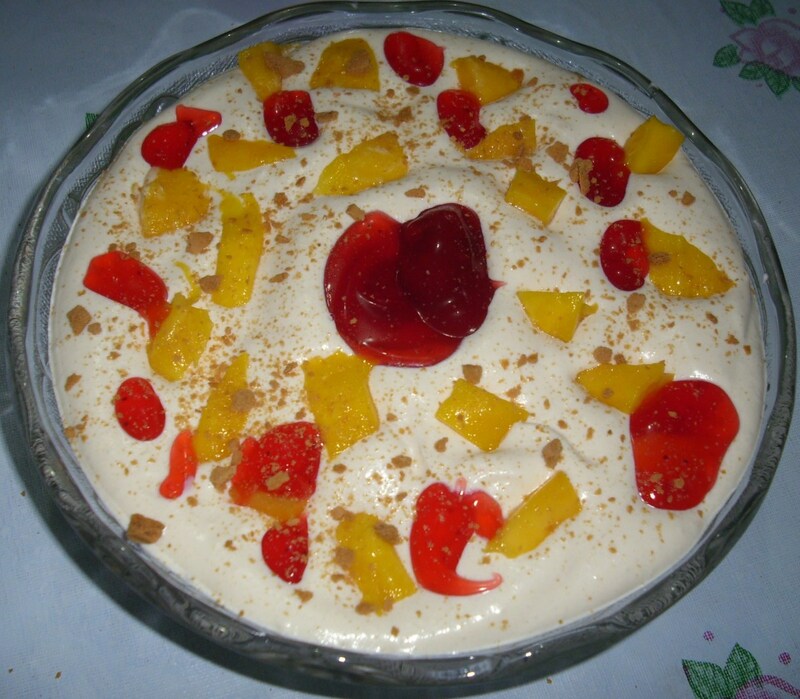 Decorate the Mango Strawberry Cream Dessert with the remaining mangoes sliced into cubes. 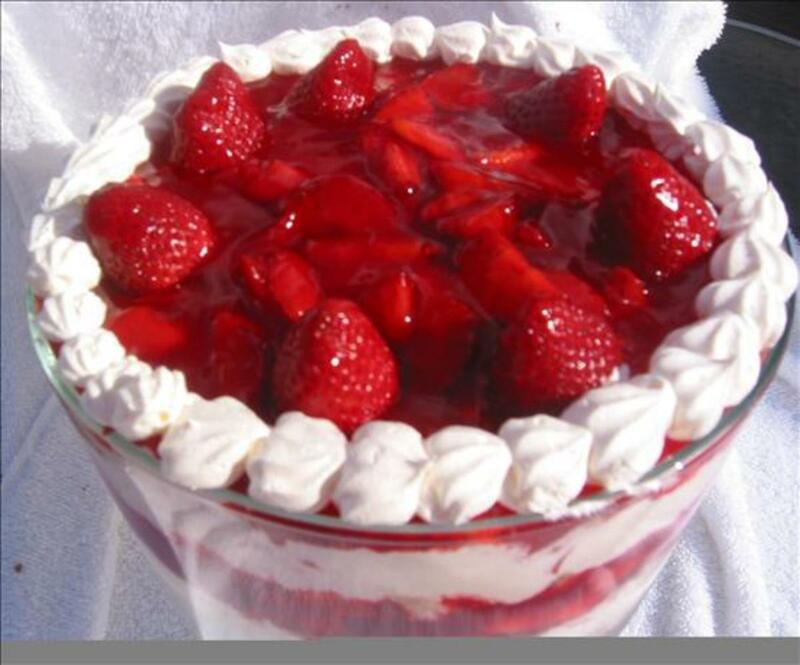 If there are still strawberry pie fillings or you are using fresh strawberries, add them to the decoration. Add some Graham Crackers crumbs (make the crumbs from the remaining crackers) as well. 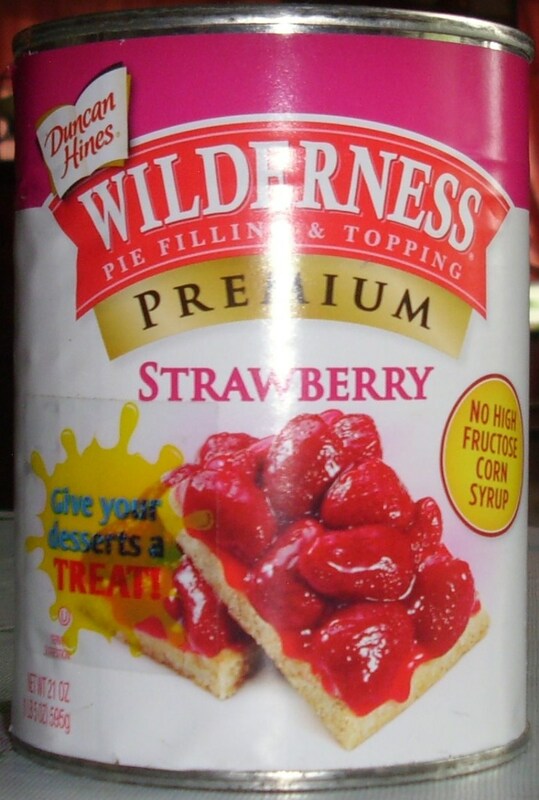 Use strawberry pie filling only when you have no other choice. Fresh strawberries are still the best when it comes to making this dessert. You can use any sizes of baking form or pyrex bowl. When I made this dessert I used another form like the glass bowl above besides the tupperware, as there was still mango strawberry pie cream left. 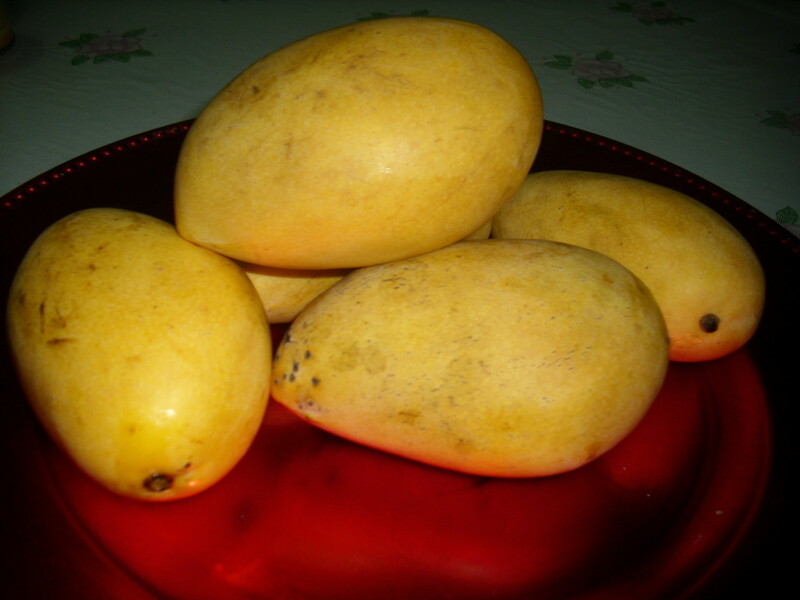 You can use canned ripe mangoes if you can´t find a fresh one. It´s better to have more mango fruits and strawberries left than having less fruits at all. You can use natural yogurt instead of condensed milk. Cover the bowl when chilling this dessert in the refrigerator. 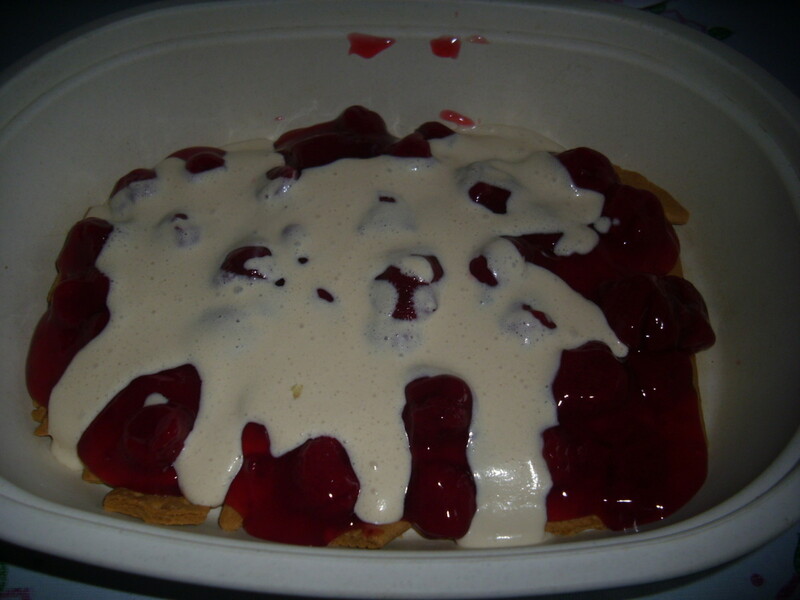 I hope you like this dessert recipe and please let me know how´d you like it by giving a comment. Thanks for stopping by. 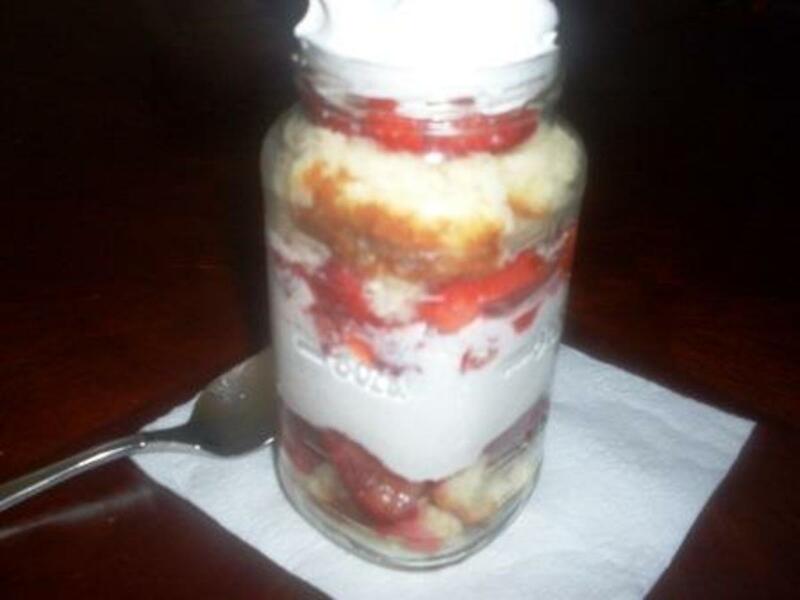 Have You Tried Strawberry Shortcake in a Mason Jar? Hi Margaret. I hope you had a wonderful Easter. 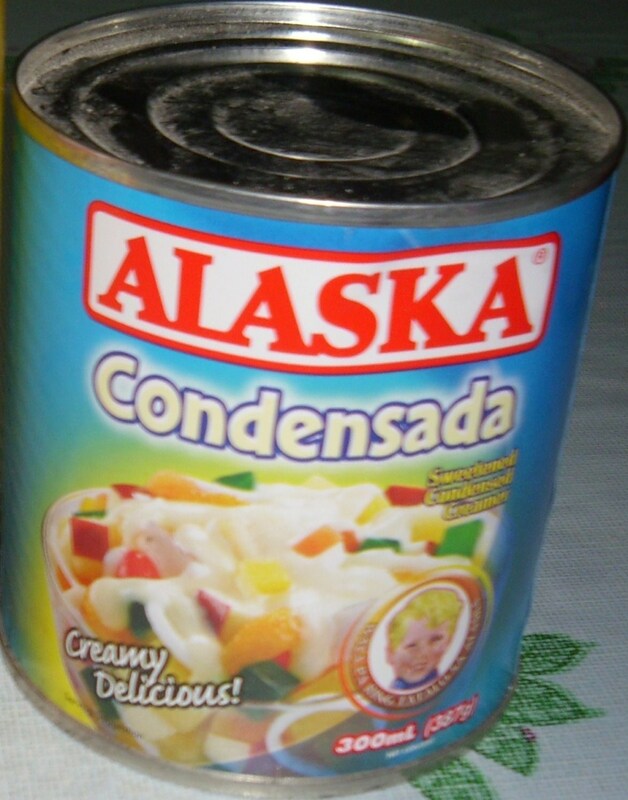 Yes, you can substitute the condensed milk with those what you have in mind. You are very welcome and thanks for dropping by. This sounds so easy and delicious! 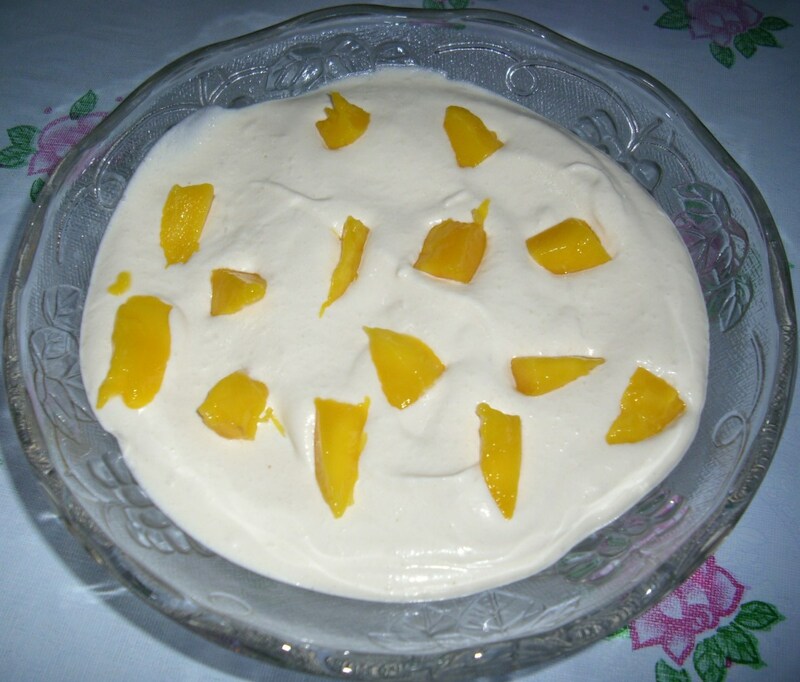 I love fresh mangoes and strawberries, and it’s always nice to find a no-bake dessert, especially for the hot summer months. I think I will try substituting organic plain yogurt, vanilla and a little honey or agave nectar for the condensed milk. Thanks for sharing! Thank you very much Megha. Have a nice week. You are right ChitrangadaSharan. Yes, you can use yoghurt in making this recipe. I have tried that too by reducing the double cream and adding the yoghurt instead. Thanks for stopping by. Such a yummy dessert indeed! A little bit of imagination can create delicious recipes when we are craving and that too from whatever is available in our homes at that moment. I would love to try this out with the option of yogurt. 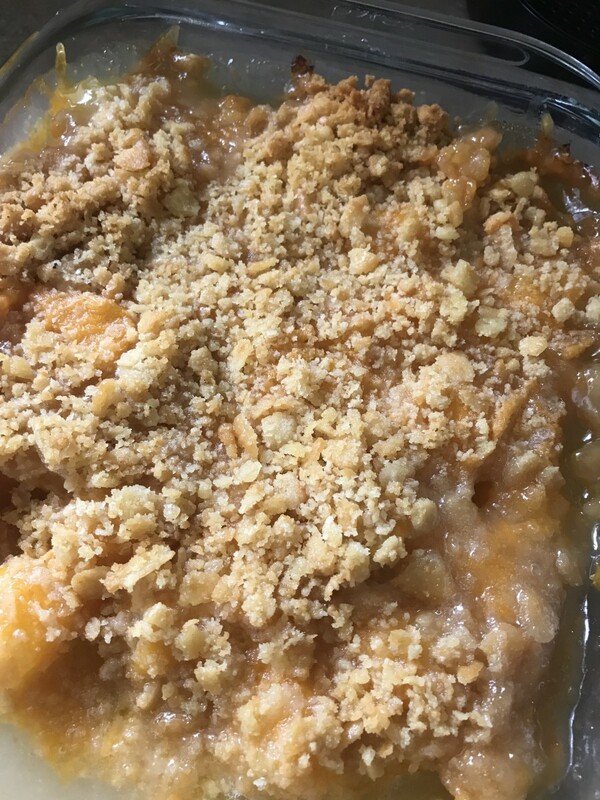 Thanks for sharing this wonderful sweet recipe! Yes, indeed. It´s perfect for summer season. Have a try and tell me how you like it. Thanks for stopping by. Have a nice week! It does not only look delicious but tastes yummy as well Torrilynn. You are always welcome. 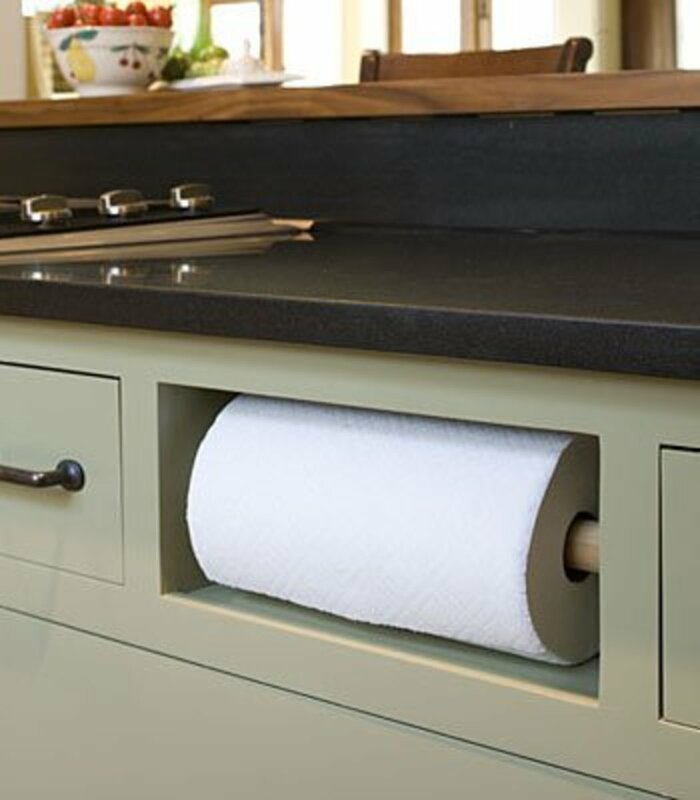 Thanks for your visit and for sharing and pinning this hub. Have a nice week. Yes, it´s delicious. Have a try and you will surely love it. Thanks for stopping by. Have a nice week! Thanks for your visit, for your wonderful comment and for all your votes, shared and pinned Ishwaryaa. I appreciate that. Enjoy trying this recipe. Have a lovely new week! Thelma, this is a perfect summer dessert. I've made something similar, with cool ship, condensed milk, and strawberries. This looks divine. I can't wait to try it! 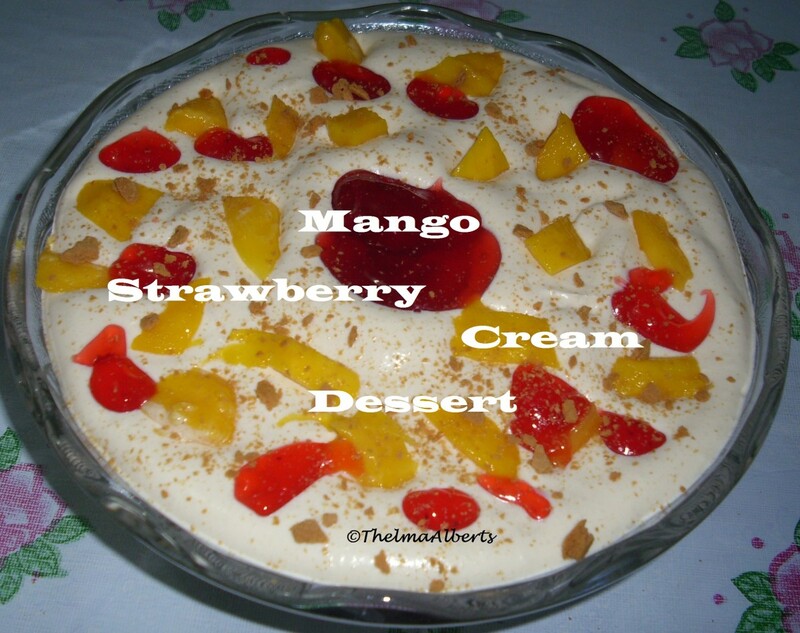 @ThelmaAlberts this dessert that you have looks absolutely delicious. Thanks for sharing this with everyone! Voted up, pinned, and shared ! An easy and tasty recipe! I am for anything that is sweet, cold and fluffy! With your easy-to-follow instructions and easy-to-find ingredients, I would like to try your recipe. Rated your recipe 5 stars! Well-done! Thanks for your visit Kathryn and for the comment. You can try this recipe and let me know how you like or not like it. Of course you can change the fruits with the one you love. Have a wonderful day, too. Mmm, this looks decadent! 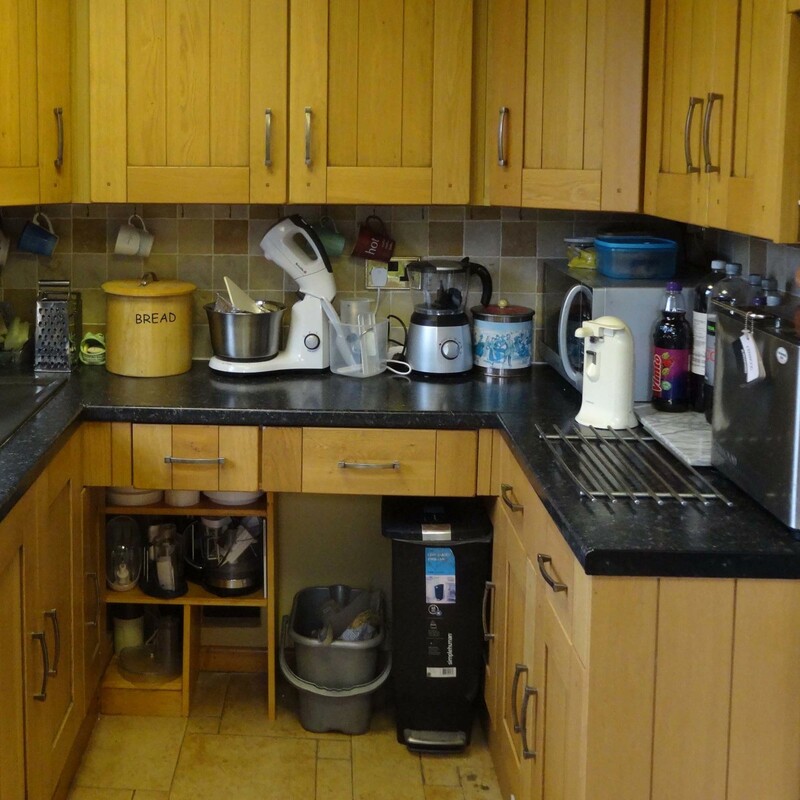 Thanks for sharing the recipe with us, as well as the background story. I love figuring out what to make with only a few ingredients. Sometimes it comes out interesting! Thats a simple and delicious recipe... I will try it out this week end! Voted up Useful and Shared! Thanks Mr-Veg. Have a try and tell me how you like it. Have a nice week! That Looks Yummy and delicious !! Would love to try this out !! Nice one Thelma !! Thank you ElleBee for your visit. Have a nice week! I love fruity desserts in the summer, this looks good. Looks easy and yummy. So glad you included the video on cutting the mango. It's always a chore. Voted up, useful, interesting, awesome shared and pinned to delicious deserts! Thanks wilderness for your visit. I hope you´ll come back and read my other hubs;-) Have a great day! Flipping through your hubs, this one caught my eye as a must read. Whereupon it became a must make and then a must EAT. This is great; thanks for the great dessert. You are welcome Lady E. Thanks for your vote. Have a lovely weekend! Thanks for sharing a healthy, fruity Recipe. I like it. Thanks for your visit moonlake. Have a great week! This sounds really good my family loves this kind of dessert. Voted Up. Thank you Mama Kim for your visit and for pinning. I appreciate that. Have a lovely week! This looks so very yummy ^_^ I'm pinning this to try in the summer! voting a bunch as well. Thelma you are so lucky to have the opportunity to visit Philippines every year I won't mind staying in another country if I will be given the same choice as yours... I will really try this one....... 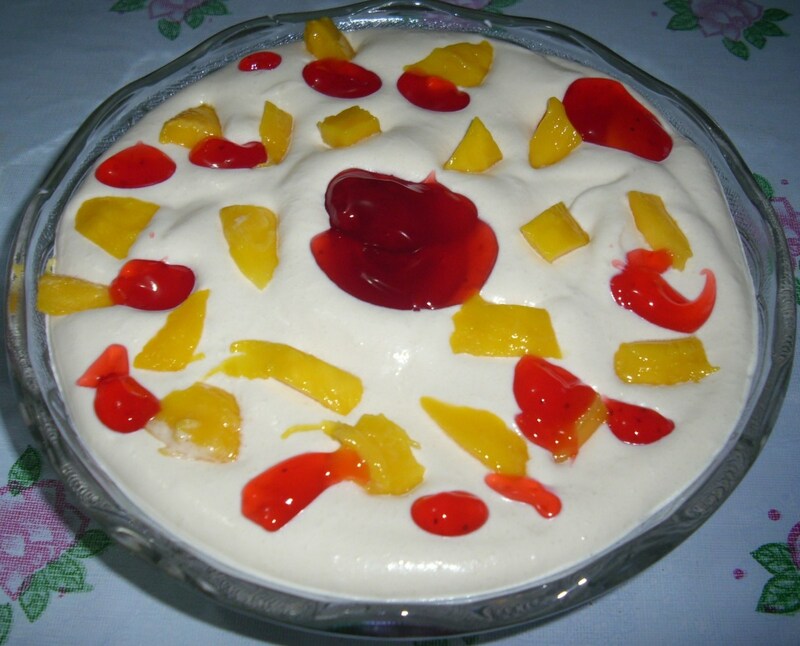 I have combined all purpose cream and condense milk before and it tasted so good especially when chilled I also used them as toppings for gelatine. Hi carol7777! Thanks God it does not makes us fat looking at delicious recipes we encountered here in HP. I would be so fat now if that´s fattening, lol;-) Thanks for your visit. Have a great week! Yep, it´s tasty diyomarpandan. I have not made mango float yet, but I have tasted it in a party. 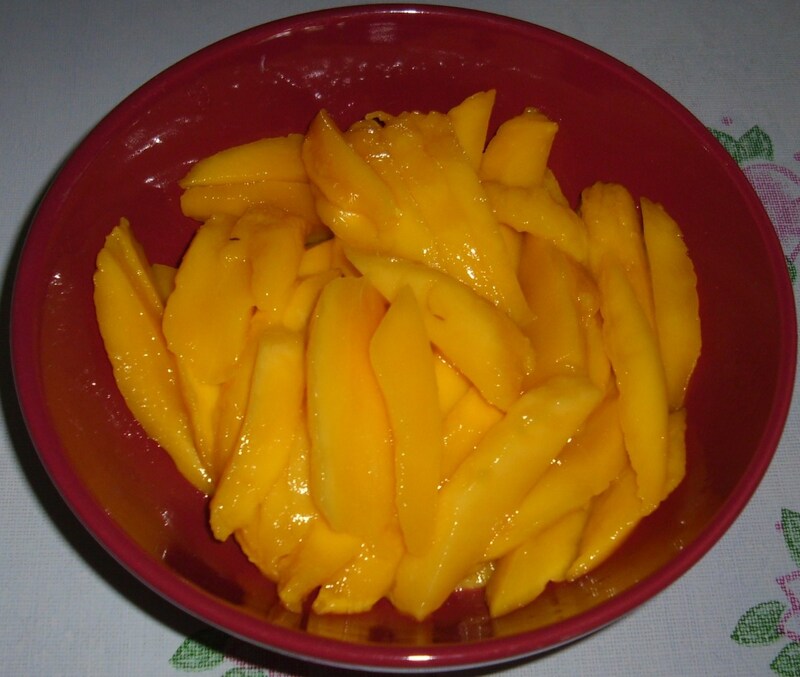 I avoid using canned fruits when I´m in our home country as we have a lot of fresh Asian fruits like mangoes. 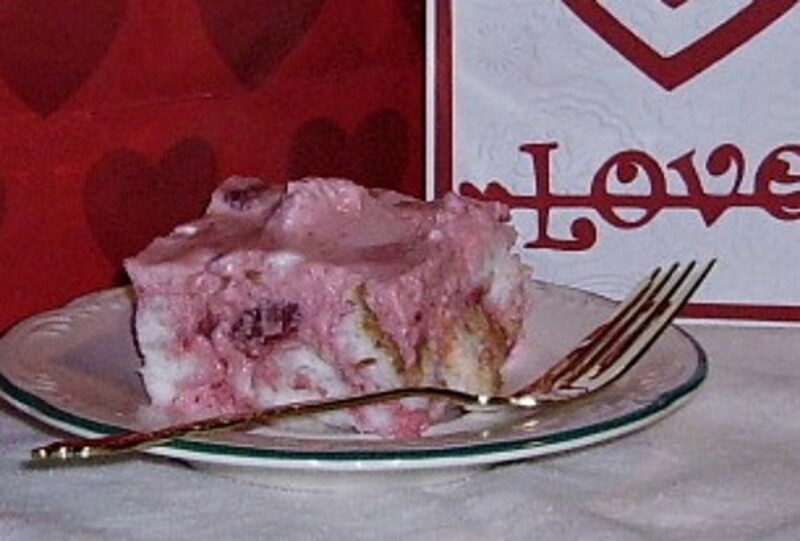 You can use canned strawberries or strawberry pie fillings when making this dessert. 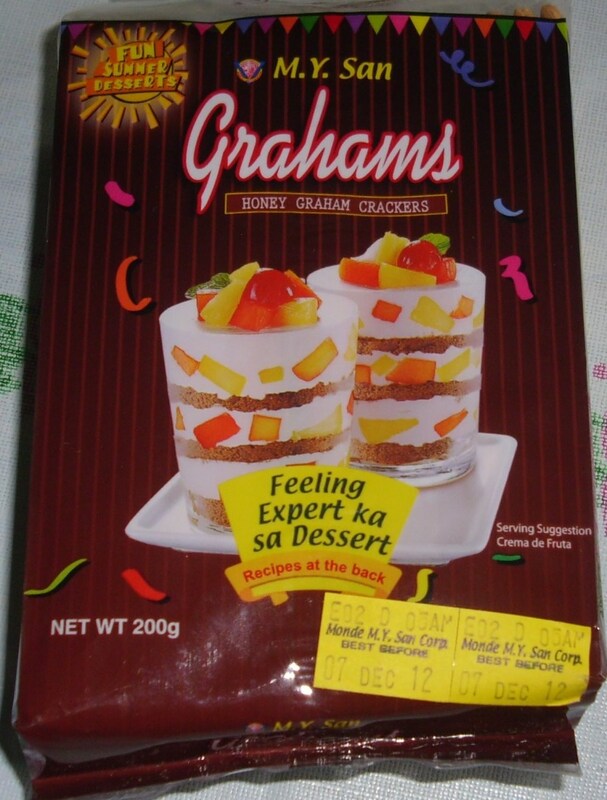 You can buy these in Gaisano supermarket. Thanks for your comment and have a great week. Hi Maria Cecilia! Yep, I´m here every year for a few months and the rest in Germany. My base is in Germany though. I keep on experimenting and combining Pinoy foods with European ingredients. This dessert is yummy. I hope you´ll like it. Thanks for stopping by.